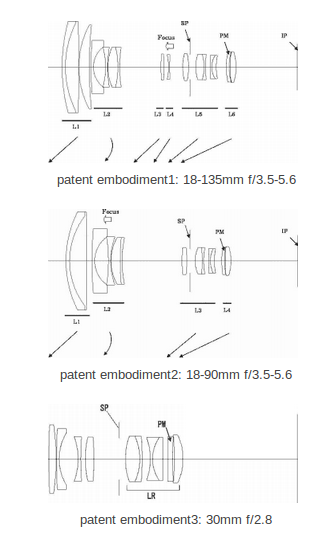 Egami (translated) spotted a new Canon patent. 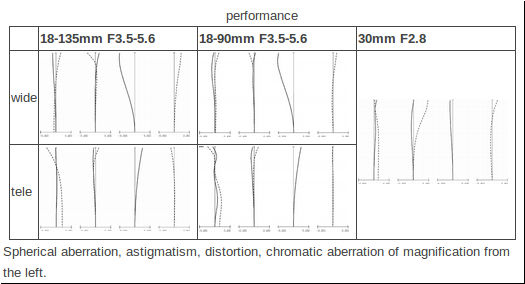 Three lenses are covered by the patent: 18-90mm f/3.5-5.6, 18-135mm f/3.5-5.6, 30mm f/2.8. The patent appears to refer to lenses that are resistant to temperature variation, i.e. that have consistent performance regardless of temperature variations .